A good RPG with a lot of gaps to fill. 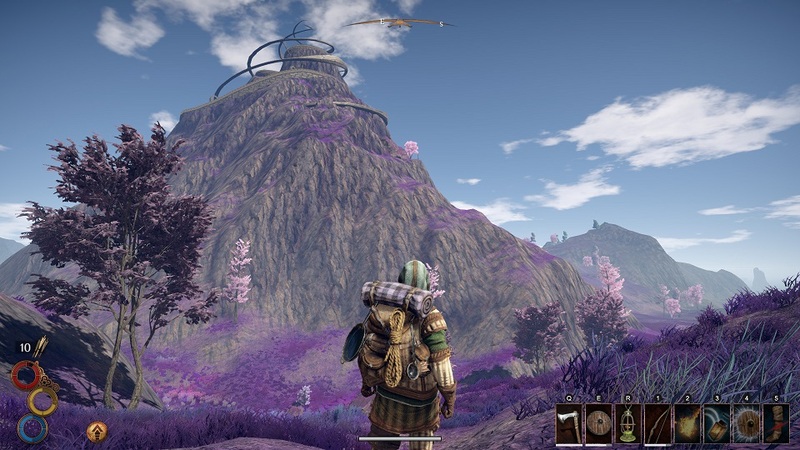 Outward is the most pen-and-paper RPG you could possibly play outside sitting down with your friends for a game of Dungeons & Dragons. That might be a weird observation to make, considering there are games that literally go out of their way to emulate the feel of a tabletop RPG, but I stand by my assertion. And I’ll explain my reasoning all throughout this… review? First impression? Whatever the hell you want to call it, just don’t expect a number grade at the bottom or anything. We don’t do that here. Outward is a good ol’ fashioned western-style RPG that was developed by Nine Dots Studio and Deep Silver. The game tries to skew the usual RPG tropes a little, however, by going out of it’s way to explain that you are not a chosen one, or a hero, or blessed by the gods, or any of the normal bull you typically see from protagonists in these types of games. You’re just a normal person who decides, largely for reasons outside their control, that they want to take up the sword and try adventuring. But since they’re not the chosen one, that means they have to contend with issues that most RPG protagonists can hardly ignore: you have to eat cooked food, sleep, treat infected wounds, drink clean water, keep watch at night, tend to your equipment, stay warm in the cold and cool in the heat, and generally manage everything except using the bathroom for your character. 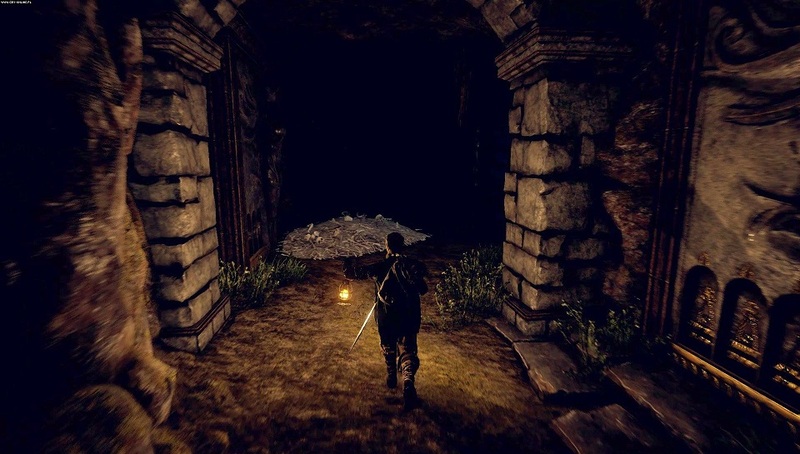 A RPG with survival mechanics isn’t that innovative, of course, there are dozens of games that have had food and water meters and need you to keep an eye on equipment integrity. And in those respects, Outward doesn’t actually stand out from its peers, there’s nothing terribly different or exciting about the food and water meters or the crafting system or anything like that. Where Outward shines, however, is in all the little details. For example: you have three (count em’, three) different kinds of inventory space. You’ve got your backpacks, your pockets, and what you’re literally holding in your hand. This is important, because in combat, you’ll need to drop your backpack otherwise you’ll be significantly slower, and you can risk damaging everything in your bag. Taking off your backpack is a simple button press, but if your secondary weapon is in your backpack and not your pockets, then you won’t be able to switch and you’ll either need to run up to your bag and get what you need, or you’ll have to kill that weirdly aggressive bird with your bow and arrow even when it’s chewing on your leg. Another example: stealth. There’s no stealth skill in the game (there’s no proper leveling mechanic either), and in fact it doesn’t even show up in the tutorial. But stealth still exists: if you dim your light and stay in the dark, enemies will have a real hard time seeing you. Sure, if they DO ever see you, that means they’ll always know exactly where you are, forever. But stealth pretty much works how it does in real life otherwise. Move quietly, stay in the dark, you’ll be out of sight. Combat also shares this attention to detail. For lack of a better term, it’s basically Dark Souls in terms of the core mechanic: you have any number of weapons, you want to hit the other guy as much as possible, while either rolling or blocking their attacks. However, in addition to a stamina meter (which, like Health, will lose its maximum size the longer you go without sleeping, so if you stay out too long you’ll be stuck working with half your maximum stamina) you also have a stability meter. If an enemy hits you down to half, you stagger, and if they completely empty it, you’ll be floored. Typically you get up after a second or two, but if you’re in the very-much not recommended situation where you’re fighting two people at once, you might find yourself too dead to get back on your feet after that second has passed. It’s a hard game in that respect, especially since it auto-saved, but it’s actually impossible to die in it, too. No matter what sort of horrible things happen to you (Or however many of your enemies you slay before they finally bring you down), you’ll always either be captured, or thrown off things, or generally inconvenienced, but left breathing. Sometimes that means losing most of your items, but you can always just get right back up and return to your terrible adventuring career. That does take some of the edge off combat and can kill your immersion -- like, say, when I attempted to break out of a bandit prison three times and no matter how many times I whacked them with my weapon they never realized I wasn’t worth their trouble – but if the game is trying to be realistic, it’s a lot less frustrating than forcing us to start over from scratch each time, so I’m willing to give it a pass. For example: despite, apparently, being a final product, it has a real “beta build” vibe to it. Animation isn’t exactly stiff but it’s very unnatural and a bit choppy, and you can really see the pixels at work when you’re doing something awkward like taking off your backpack while moving or rolling with a two-handed weapon. I haven’t been to any towns beyond the starting one, but the population there is… less than animated to say the least. You can talk to a few of them (and, in the process, navigate a very small conversation box where the spoken dialogue doesn’t match what’s written down, which never feels very good), but the vast majority just walk in circles, reap the same chunk of earth, or sit, unblinking, on a bench, oblivious to the world around them. The worl0d -- or at least, the starting meadow -- is also shockingly dull and lifeless. Step out into the enormous open world, and you’ll encounter… trees! Mountains you can sprint over! Flat, lifeless beaches! Lots and lots of grass! More trees! Sometimes a rock! It has a real PS2-era vibe to it that’s not strictly bad, but when compared to more refined RPGs, is certainly pronounced… and it can really make travel boring. Which is a shame, because that means you’ll find yourself sprinting to try to get it over with quickly, which will sap into your stamina and leave you vulnerable. But therein also lies the charm. Because while the game is mechanically strong but visually dull (the character customization, for example, is pretty much a joke by RPG standards) it’s dull in such a plain, empty way that you’re sort of forced to fill in the gaps with your own imagination. And you could say that forces the player to do extra work to make up for some obvious deficiencies, but personally I kind of like that I have to do that. Bump into someone in, say, Dragons Dogma – one of my favorite underrated RPGs – and they’ll always fall back, staggered and insulted, which can even get you in trouble if you bump into a guard. That reaction is always the same, and since it’s so well-executed, you don’t really need to give it any sort of mental flourish. That means it looks better… but it does sort of become meaningless after you see it dozens upon dozens of time. 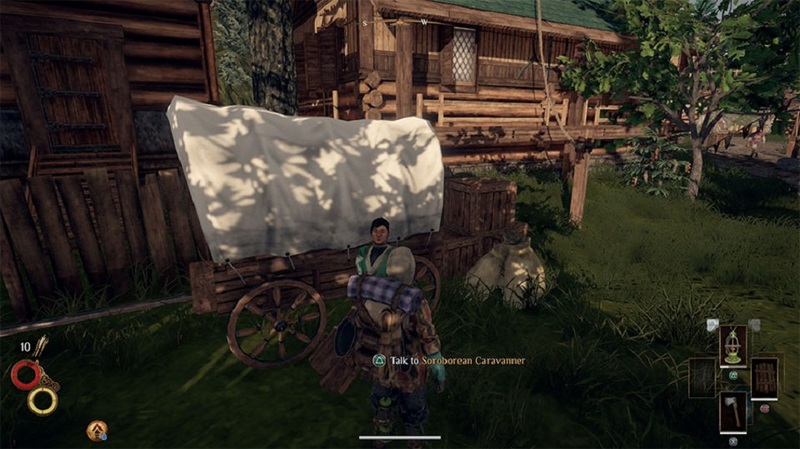 Outward’s characters are just… pushed a bit. They don’t react to it, they’ll be moved mid-animation like stiff dolls. Less impressive by far, but since it’s so lame, well, it invites the brain to fill in the gap. Much in the way RPG’s did in the past and, indeed, like tabletop games do today. It goes to just about every part of the game: like in the outside world. So far, I haven't run into any other friendly travelers, it’s all bandits and angry animals and the occasional merchant, which means if you want some life in these dull green planes you’ll need to imagine it yourself. Just like a DM doesn’t explain every single detail in the place you are, but only highlights what’s important, Outward does the same thing: what matters is highlighted and pronounced, but everything else is a flat, lifeless fuzz that invites you to fill that blank space with some good old fashioned role-playing. And while it might sound sarcastic, I do genuinely appreciate being given that space to work. …also, Outward has co-op, which is pretty dope. Anyway. I’m not convinced that the game is worth the selling price. But it is a unique experience and a welcome new face in the world of role-playing, so while I’m not sure I like it enough to give it a full-bodied recommendation, I’d certainly say it’s worth checking out if you’re looking for something to kill the time before The Outer World is released. Still no number grade. Sorry.